There’s no better feeling than buying a brand new car. It looks so shiny. The car is perfectly clean. Everything works just like it is supposed to do. It doesn’t need a single repair. And it costs a whole lot of money! In a perfect world, we would all be able to afford a brand new car every time we needed one. But life doesn’t always work out that way. Sure, you can take out a loan or lease a new car. But while you may be able to afford the payments, that doesn’t mean it’s a good deal financially. So you need to think about the long-term effects of buying a new car, too. People are hesitant to buy a used car, for good reason. They don’t look as nice. They usually have some dings or scratches. Not everything works like it is supposed to. And it’s easy to get ripped off! We’ve all heard horror stories of people buying used cards, and getting a piece of junk. You can actually buy a used car and get a great deal. And not just on a car that 2 or 3 years old. You can often find a very reliable car that is 5 years old, and even older. Not only will it save you lots of money on the purchase price. But you’ll also save on property taxes, insurance, and depreciation. Even though a car is a necessity for most of us, it is one of the worst investments you can make. If you can afford a new car, great. Or if you can afford a used car that is still just a few years old, that’s great too. But don’t think that just because you buy an older car that you are getting a “clunker”. Or don’t assume that you will automatically get ripped off. You can get a great used car at a great price. Of course, used cars have some additional risks, so you have to be really careful in choosing one. But if follow a few simple steps, you can usually find a great deal! Figure out how much you can afford, and do some research to determine which types of vehicles you can afford. Then focus your search on those cars. Most of them will be very similar, but if you look around you can find the very best car in your price range – the one with the lowest mileage, least amount of scratches, and even the color that you want. It may take a little time, but after you check out a few cars, you’ll know exactly what to look for, and what’s most important to you. 2. Buy from a private seller. 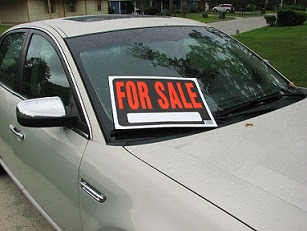 If you really want to save money buying used car, then it is best to buy from a private seller. You can still find some good deals from a used car dealer, but a private seller is more likely to negotiate a better price. One advantage to a dealer is that they’ll usually fix some of the obvious problems before they sell it, as they are required to by law. But in return, they’ll be less likely to negotiate. 3. Have your money ready ahead of time. If you have cash saved up, then you know exactly what you can afford. And you can use this to your advantage when negotiating, either with a private seller or dealer. If you need financing, then you’ll probably need to buy from a dealer. Still, you should try to borrow the money before you start shopping. For used cars, financing is a lot simpler than buying a new car. But if you can obtain a loan before you start looking, you’ll know how much you can afford, and you won’t be tempted to your decision based on monthly payments, or get “fast talked” by a salesman. 4. Get the car inspected by a mechanic. Whether you are buying from a dealer or a person, make sure that you do not take their word for the condition of the car. Not that everyone selling a car will intentionally lie to you, but it’s your money, so you deserve to know what you are buying. Even the most careful car owner won’t know when something will need repair shortly. And even if you are buying from a dealer who tells you the car passed their own “inspection” or “used car checklist” you should still get it inspected. For about $50, you’ll get a report about everything that’s working, and not working. Even a bad report doesn’t mean you have to walk away. But you can use this information to negotiate if the car needs any major work. This is the most important step of all, so if the seller tries to talk you out of getting the car inspected, walk away! Sounds like a lot of work. But it will be well worth the time and effort. It’s much easier to just buy a used car and drive away. But if things start going wrong within a few days, you’ll be mad that you didn’t put in the time to buy the best used car possible. If you follow these steps, you’ll know that you did everything in your power to buy a quality, reliable used car!